5ème édition. 10 days of more than fifty of the best African fiction and documentary films from across the continent, With lively Q&As and panel discussions featuring leading African filmmakers, and a dynamic programme of cultural events. Date du Festival : du 30 Octobre au 08 Novembre 2015, à Londres (Royaume-Uni, dans plusieurs lieux de la capitale britannique). 5ème édition. 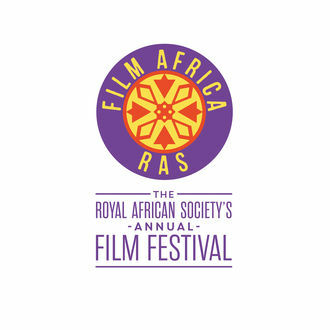 Film Africa is the Royal African Society’s annual festival celebrating the best African cinema from across the continent. Now in its fifth year, the festival has become a key platform for African cinema in London and the UK. From Friday 30 October – Sunday 8 November 2015, we’ll be bringing another exciting film programme to venues across London. This will be accompanied by a vibrant series of events, including director Q&As, talks and discussions; professional workshops and master classes; school screenings and family activities; The Industry Forum; and Film Africa LIVE! music nights. Established in 2011, the Film Africa Baobab Award for Best Short Film exists to recognise and support filmmaking in Africa and to find new voices emerging from the continent. The Award consists of a £1,000 cash prize and is judged by a panel of filmmakers and industry professionals. * Short film submissions that have been made by African filmmakers living and working in the continent will automatically be considered for the Award. * Only filmmakers who have not yet made a feature-length film will be eligible. * The Baobab Award covers works of fiction only (including experimental). Documentaries will be considered for the main programme but will not be eligible for the Award. * Only submissions that are 30 minutes or under will be considered. * The submission process for the Baobab Award is the same as for the main programme – please follow the instructions set out below in our Rules & Terms. * Film Africa will automatically consider all submitted films that comply with the above criteria for the Baobab Award. In line with our commitment to screening the finest and boldest contemporary African cinema, Film Africa accepts films of all lengths and genres, including fiction, documentary, animation and experimental titles on any topic. * There is no submission fee. * Year of production must be 2013 or after – any films made before this will not be considered. * Please ensure that your screening link is active until 1 SEPTEMBER 2015. * While our main objective is to represent a wide range of films and filmmakers stemming from across the continent and the Diaspora, we also accept submissions from non-African filmmakers whose films relate to Africa. * We will not accept films that are not from, or about, Africa. * Please ensure that English subtitles are provided, where necessary. * Film Africa respects filmmakers’ copyright and will take all precautions to ensure that your film remains safe from piracy. Please note that copies submitted by post will not be returned. Films concernés : Courts métrages (- de 30 min) et Longs métrages (de 52 min), fiction ou documentaire ou animation. Conditions : Films produits après le 1er janvier 2013. Pas de frais d’inscription. Baobab Award du Meilleur court métrage : Créé en au moment du lancement du festival en 2011, le Prix Baobab du Meilleur court métrage de Film Africa cherche à renforcer la reconnaissance et encourager la réalisation en Afrique et trouver de nouvelles voix émergeant du continent. Le Prix est d’un montant en espèces de £1,000 (903 126 FCFA / 1 376 EUR) décerné par un jury de réalisateurs et professionnels du milieu. Critères du Baobab Award for Best Short Film: Les films courts (moins de 30 min, fictions seulement – y compris les films expérimentaux) inscrits par des cinéastes vivant et travaillant sur le continent (n’ayant pas encore réalisé de long métrage) seront automatiquement qualifiés pour la compétition du Boabab Award.